A health, fitness and well-being group from the Onion Lake Cree Nation provides a safe and informative environment to Indigenous women. 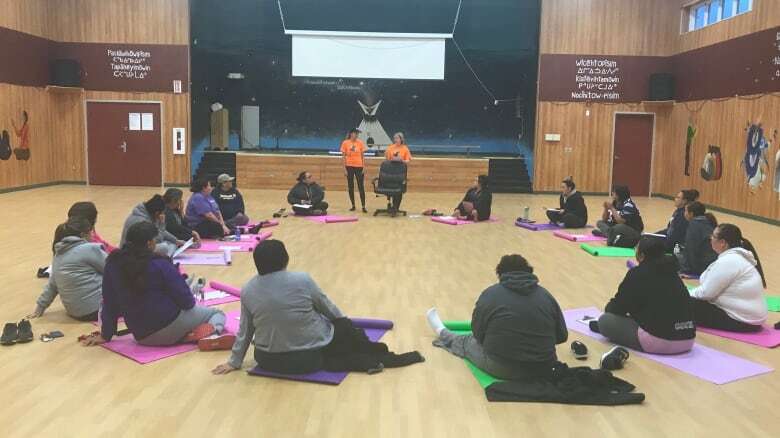 Shelley Wiart started Women Warriors to help Indigenous women feel comfortable in a workout setting. "I find that some of the gyms can be intimidating to walk in to if you're just new to fitness," Wiart told CBC Radio's Blue Sky. She started Women Warriors in Lloydminster in 2015 and has since successfully transplanted it to the Onion Lake Cree Nation. 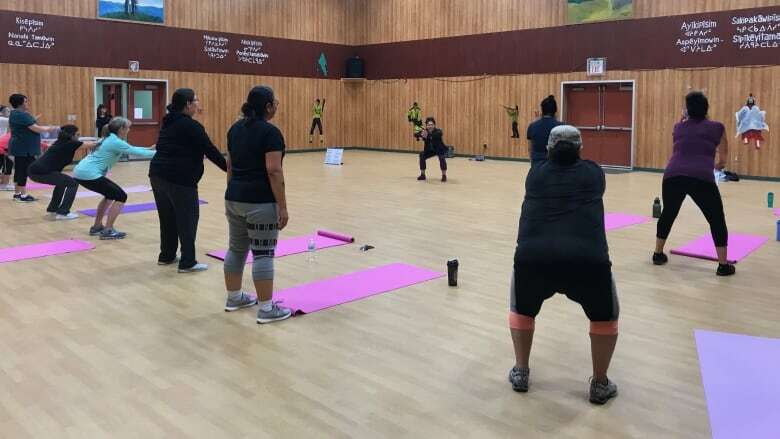 Her goal was to create a safe space for all community members, particularly Indigenous women, to introduce them to fitness. Women Warriors is led by instructors capable of breaking down the exercises for people at a beginner to intermediate level. 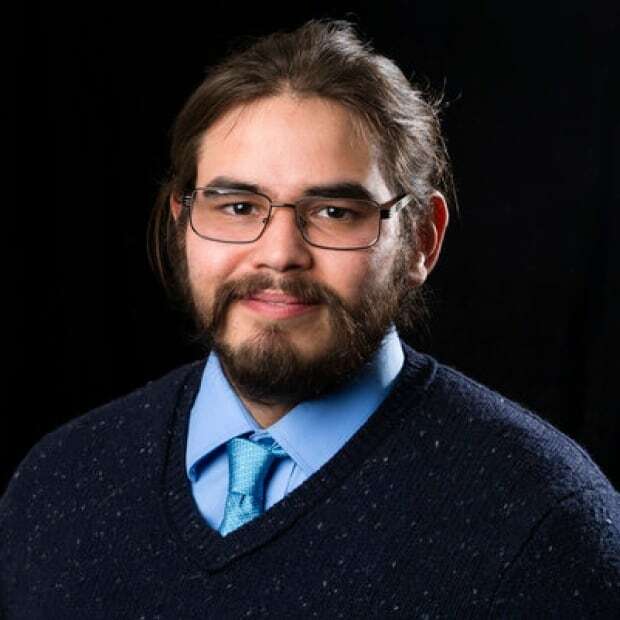 When Wiart ran classes in Lloydminster, many people would make the 30 minute drive to town from Onion Lake Cree Nation. She moved the program to Onion Lake this fall in order to make the free program more accessible. Her fall class brought in 32 people and she's now set to start another program in January. Wiart said participants are given culturally-relevant food education and a talking circle component along with their fitness regime. An elder is welcomed in at the start of every session. Wiart said they address health, body and mental fitness before workouts begin. "Throughout the program we just build these really incredible supports and we just share our health barriers and our lives with each other, and I feel like that's just a much more welcoming environment than just walking into a gym," Wiart said. Vera Cardinal, who participated in the Women Warriors program, said it made working out more accessible because she was at home with people she knew. "When you have that here, and you know the people that they're with, they're your family, your cousins, your friends, your sisters, then you see them there and you see them working out, you're more comfortable," Cardinal said. Cardinal said the Women Warriors program gave her the confidence to be a better woman and a better mother for her children. "If I take care of myself and be a warrior that way every day for them, then I know I'm going to make a difference in their lives." 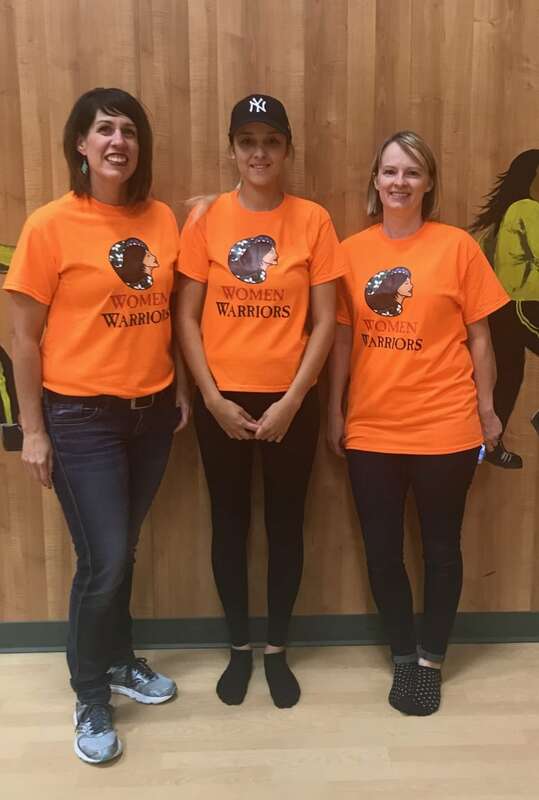 Wiart partnered with Dr. Sonja Wicklum, a clinical assistant professor from the University of Calgary who specializes in obesity, to develop the nutrition education component of Women Warriors. She said the nutrition sessions are short but they make a difference. "Women tend to remember all of the information that we give them. By the end of the program they can state the eight lessons that they've learned," Wiart said. Classes include information like how many servings of fruits and vegetables should be eaten in a day, how much fiber should be consumed, or the importance of drinking eight to 10 cups of water a day. Part of the reason Wiart founded Women Warriors was to raise awareness about Type 2 diabetes. She said her family has an intergenerational history of Type 2 diabetes and that because she was an obese child, adolescent and young adult, she was at risk for the disease. Wiart said Woman Warriors has helped others with diabetes. She referenced a past participant who was newly diagnosed with Type 2 diabetes. "She was scared because she had five kids and she wasn't really sure, first off, the way to eat and second off, where to find a program she could fit into," she said. "Throughout that program she lost about 20 pounds in eight weeks." Wiart said a Type 2 diabetes diagnoses can be overwhelming, but Women Warriors breaks it down into simple terms to help the participant control sugars as part of her daily routine.